That’s what really gets me with all this mess. On some level every rider knew what was going on. Not just lead dogs, but domestiques too. How do we know this? Consider all the confessions, not just those pointed fingers at Lance, but everyone. Further, cycling itself admits that it was so pervasive–I’ve read that 36 of the top 45 riders during the years that Lance rode tested positive–that they are declaring “no winner” for the years that Lance won. Who else knew? Team managers knew. Officials knew. The governing board of cycling knew. Well, that’s where the board itself stops short of admitting to their own version of the full truth. After all, if there were insiders at the very top even tacitly acknowledging (and therefore tolerating) the use of performance enhancers, then how can they offer any measure of discipline. It would be hypocrisy, right? And that’s my point. There is literally no winner here. Hanging Chad has had enough! I was a pretty casual fan, but a fan indeed. Starting especially in 2005 when I went on a week-long mountain biking tour of Colorado with a buddy of mine, hitting every available hostel, or tavern for the latest Tour update. We watched because of Lance. I was simply inspired by Lance. Everyone was. I bought a pretty decent Scott S30 road bike in 2008 under the influence (if you will) of the Tour de France buzz that summer. Most people seem to have no trouble now castigating Lance. In spite of the evidence, I still do. I understand that, on top of everything else, he is characterized as a manipulative bully in the reports. Among my community of inspired rider fans, the doping topic came up nearly every time we watched. 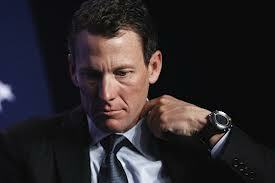 We were all pretty sure Lance and everyone was doping on some level. We understood that it was a part of the sport, and that there was no real way to regulate doping. It was an issue, but we weren’t so naive to think the top riders weren’t doing it. Now everyone is just so appalled! I think if the UCI had truly asserted some clear new protocol, declaring the years 1991-2012 (or something near to those dates) as pervasive drug years in which the field was simply tainted, PLUS clear measures of how they would test with lifetime bans for positive tests, PLUS clearing out all officials who presided over the board during those years, then okay. We’d all shake our heads, but at least have something to hang our helmets on moving forward. As it stands now, I’m done. Cycling can yank their own chains. That’s the small power a consumer has. The protest of indifference. You can take your participation and direct it elsewhere. And that’s just what I’m going to do. Why? Because I’ve been duped at every level of cycling year after year after year. From the top to the bottom. The UCI is still in denial. The discipline that was meted out to the “confessors” (sixth month bans), as compared to the lifetime ban on Lance is grossly inconsistent–and most confessed only after their cycling careers were over anyway. Some say that Lance is the best thing that ever happened to cycling–even now–because whether or not he ever “comes clean,” he now sets a new industry standard for a new culture that won’t participate in doping. The fairytale is over. Fine. I get it. He still won the most grueling event in the world time and time again against competitors who also dedicated their lives to winning and who were also proven dopers. Sorry, but I’m not forgetting what I witnessed year in and year out, and I find it silly to suggest we do. You don’t say we should “forget” the 2007 Super Bowl the Patriots won because of “Spygate,” or the 2009 Saints because of “Bountygate,” or the 2002 National League Champion Giants because Barry Bonds was doping, or the teams Roger Clemens pitched for. You can name the facts, seek the truth, put asterisks by names and dates, but you can’t erase what happened. What I can erase is following cycling, especially–and sadly–the Tour de France.